Join me as I share my kitchen adventures and mishaps while trying to create simple food inspired by childhood memories back in South Africa. 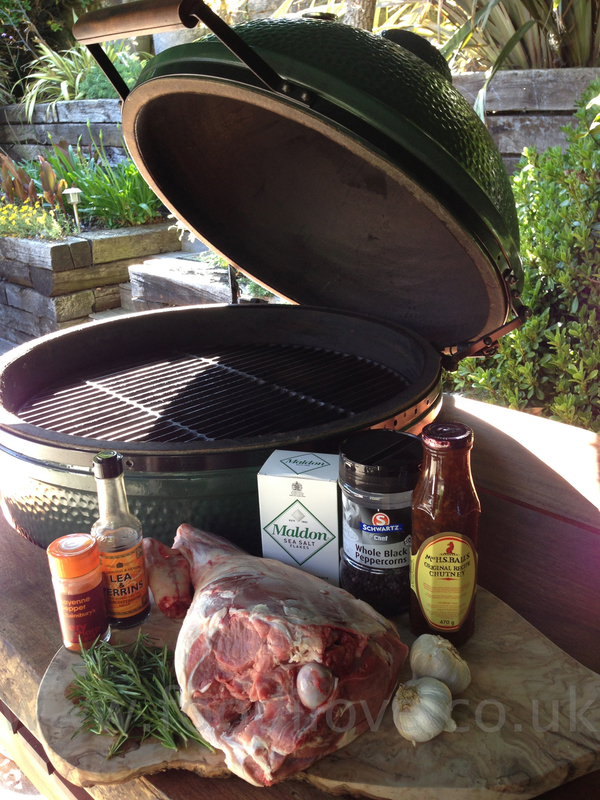 Well, I hope that you have all been braaiing since my last blog, I know I have! Sorry for the long break but I had a bit of a rest and unfortunately my mother passed away during this time so my not blogging was not all due to me enjoying myself, many thanks to those who sent there condolences it was greatly appreciated. Preheat the Braai to 200°C (400°F) Remove the seeds from the cardamom pods and grind them in a spice grinder or with a pestle & mortar, along with the fennel seeds, cloves, cinnamon stick, fenugreek seeds, black pepper and the coriander and cumin seeds, until they form a fine powder. Heat the oil in a tagine, potjie pot, heavy-based frying pan or casserole dish over medium heat and fry the onion, garlic and ginger until lightly browned. Add the meat and fry until brown all over. Add all the spices and fry for 1 minute. Add the creamed coconut and bring slowly to the boil. 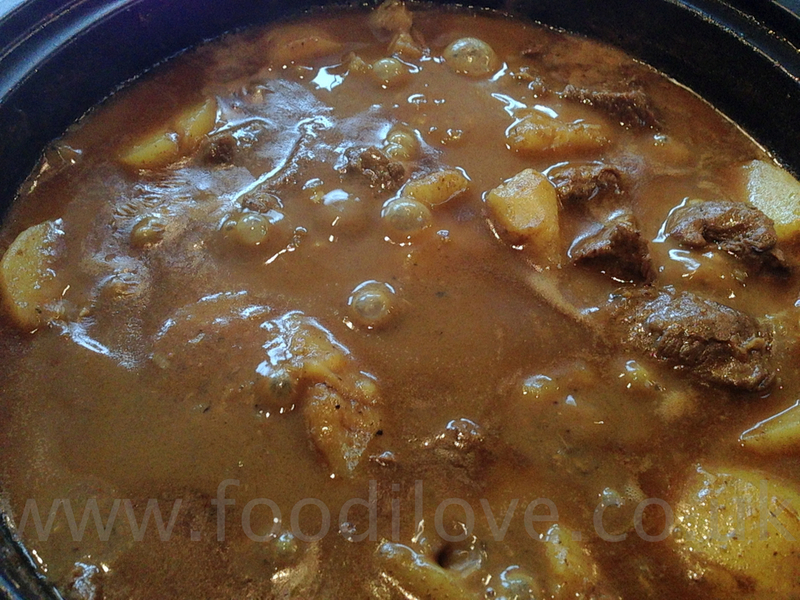 Cover, reduce the heat and simmer for about 45 minutes, or until the meat is tender. 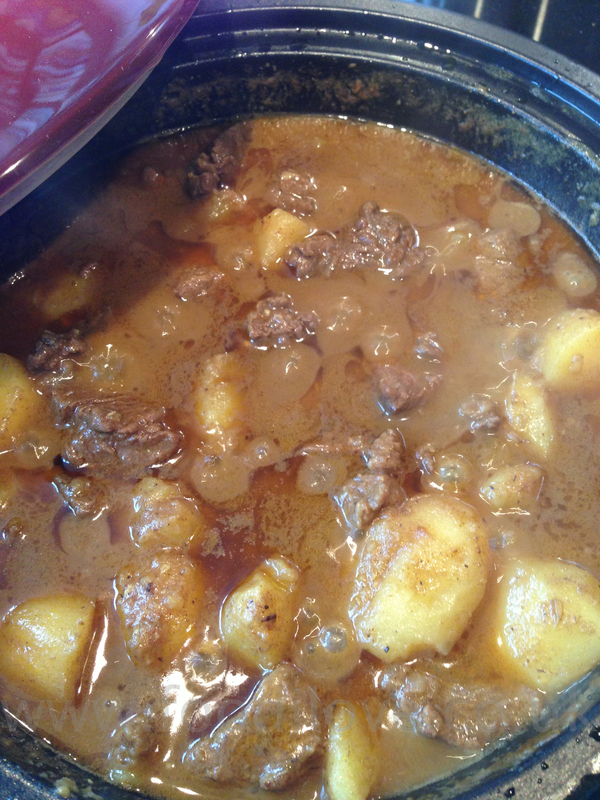 Remove the lid and add the potatoes into the curry, push them down below the surface so that they are totally covered. Replace the lid and cook for a further 45 minutes. If the liquid evaporates during cooking, add about 185 ml (3/4 cup) boiling water and stir to make a thick sauce. If the sauce is still too liquid at the end of the cooking time, simmer with the lid off until it evaporates. Season with salt, to taste. This Goan curry had such a fantastic aroma it just brought a smile to my face to think that I had created this from scratch, no packets or bottles of sauce anywhere. I served it with some plain steamed basmati rice, sambals and a large dollop of Mrs Ball chutney. Give this a go even if you don’t cook it on the braai, it’s really worth the little time it takes and I’m sure it wont be the last time you cook this either. Until next time keep on braaiing! Braai Butterfly Lamb with Mrs Balls Chutney & Coke Marinade! Well, welcome to another braai blog, it's almost come to the end of the challenge that I set my self a year ago "To braai every week for a year". I can't say that it's been easy but it has been a great deal of fun and "Man" have I learnt a lot over this year. Thanks for all your support and comments, this will not be the end of this blog but I will be branching out a bit and bringing reviews on other peoples cooking, restaurants and blogs and a few from me as well. So don't think this is the end, it will continue just not every week, on the other hand it might be! I've also decide to extend the entry to the competition for suggestions of what to cook in my last week so entries will now close on our FaceBook Fan page on the 17th July so follow this link, make a recommendation and you could win £50 in gift vouchers to use on our website www.biltong.co.uk . Take you boned butterflied lamb and score the fat side in 2cm diamonds, this helps the spice rub to penetrate the lamb that bit better. To make the rube all you need to do is put the ingredients into a pestle and mortar to grind into a medium mixture. 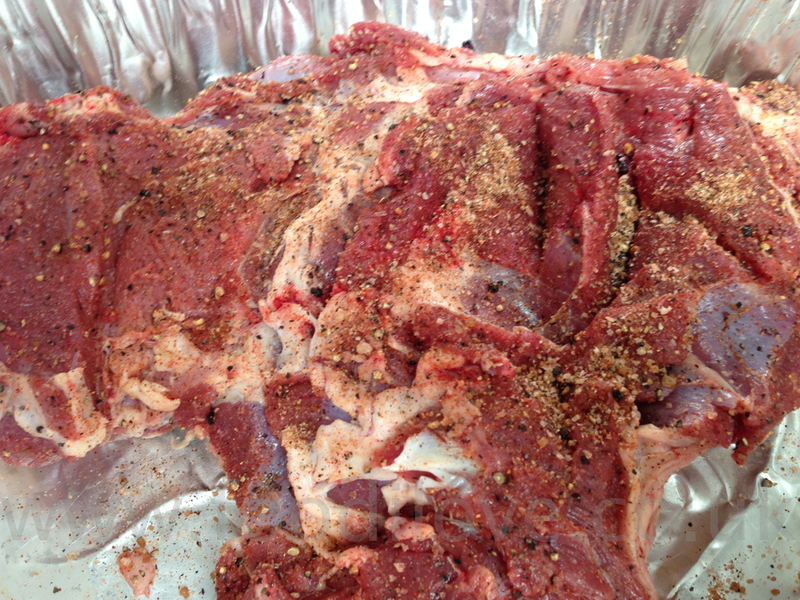 Then sprinkle it all over the lamb and rub it in on both sides. 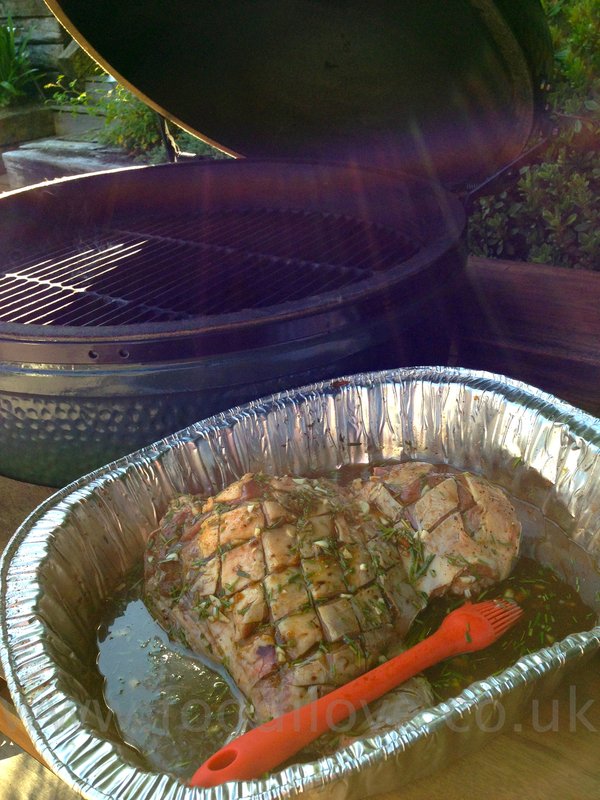 Set aside while you make the marinade/baste. 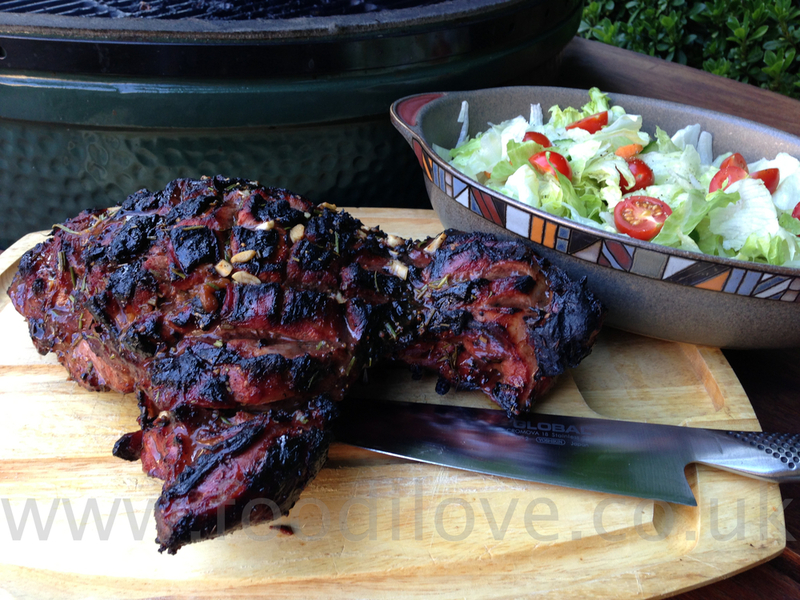 Take the meat out of the marinade and place on the braai directly over the medium coals. Cook for 20 mins without opening the lid of the braai or turning the meat. 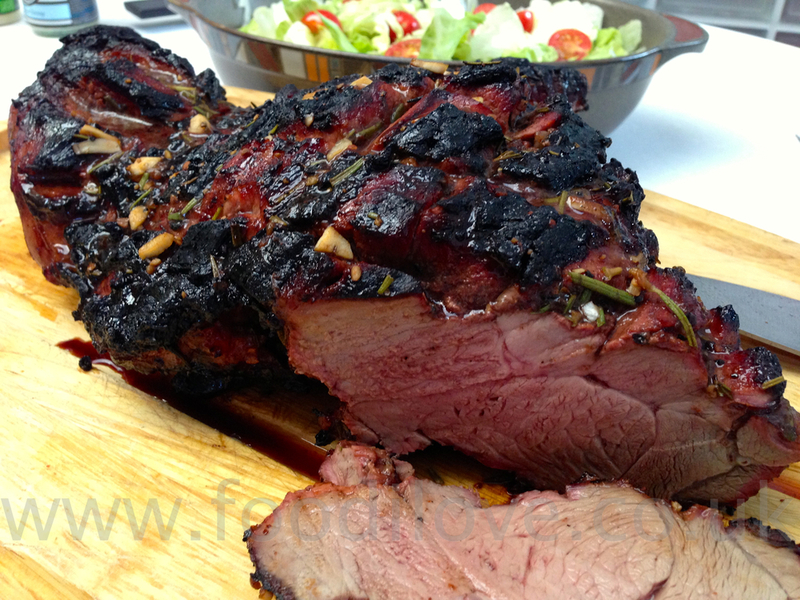 After 20mins open and baste the lamb with the marinade and turn over, cook for another 20mins and repeat the basting. This time, turn and cook for only 10mins, repeat once more and this should be the perfect length of time to cook the lamb to medium rare, pinkish. All that's left to do is take it off the braai and leave to rest for 10mins minimum, I think this helps it to relax and it seems to be a lot more tender when eating for this process. As you can see I only just managed to not over cook the lamb, this is the trick. It's so easy to leave it in the braai for an extra couple mins as you try to decide if its cooked enough. Remember while it's resting it's still cooking, so don’t be tempted to leave it in the braai for that bit longer. Serve with fresh salads and even some rice or baked potatoes, it's just a great summer meal thats doesn't take long to prepare or cook. Please feel free to like and share this blog with other like minded nuts who enjoy Braaiing all year long. Don’t forget to enter the competition to win those gift vouchers, just go to our FaceBook Fan Page and leave a suggestion of what you would like to see me cook on the last Challenge Blog of the year. Entries will now close on our facebook page on the 17th July 2013, good luck! 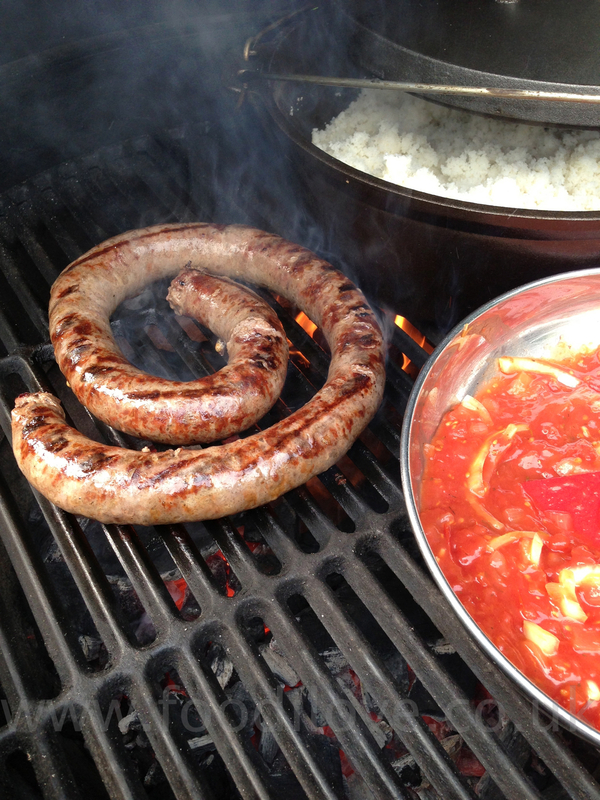 Wors, Pap en Sous on the Braai! Mielie meal is a staple food in much of Africa. Unlike European polenta, mielie meal is normally white in colour and quite coarse textured. 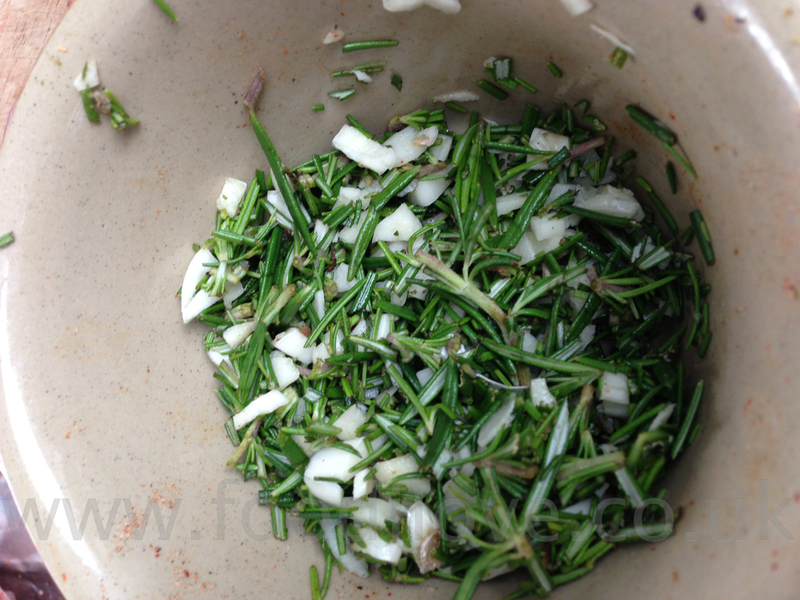 It makes a delicious side dish or it can be the centre point of a meal. 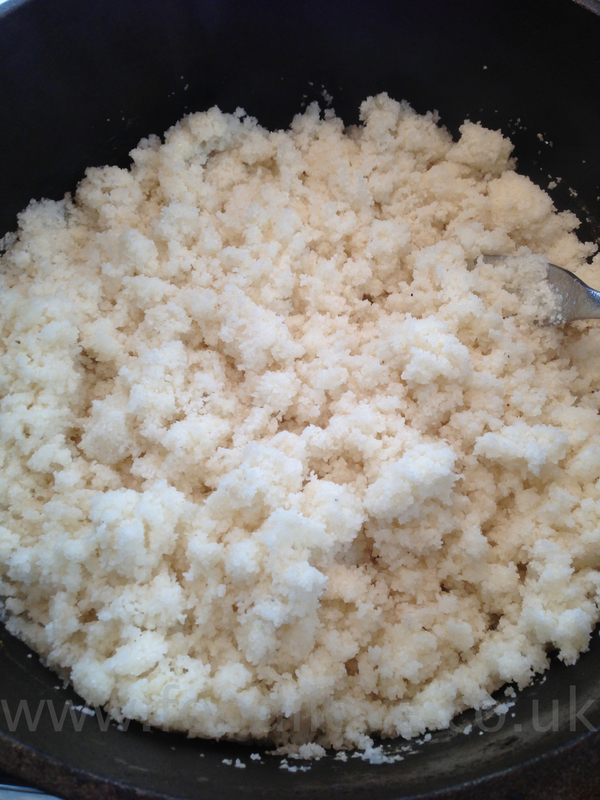 Pap (pronounced pup) means "porridge" in Afrikaans and the consistency can vary considerably from a smooth and quite loose porridge which needs to be eaten with a spoon (slap pap). Through to a stiff paste which can be broken off with the fingers to act as a scoop or spoon for stews and sauces (stywe – pronounced STAY-ver - pap), to a crumbly and dry texture a bit like couscous (krummel – pronounced CROO-mel - pap). I’m going to be cooking the latter, as I once served up Slap Pap to my wife Jan, many years ago and she said that if I ever made her eat that again she would divorce me lol!!! The method and ingredients are the same but the ratio of pap and water differ depending on which type of pap you wish to end up with. 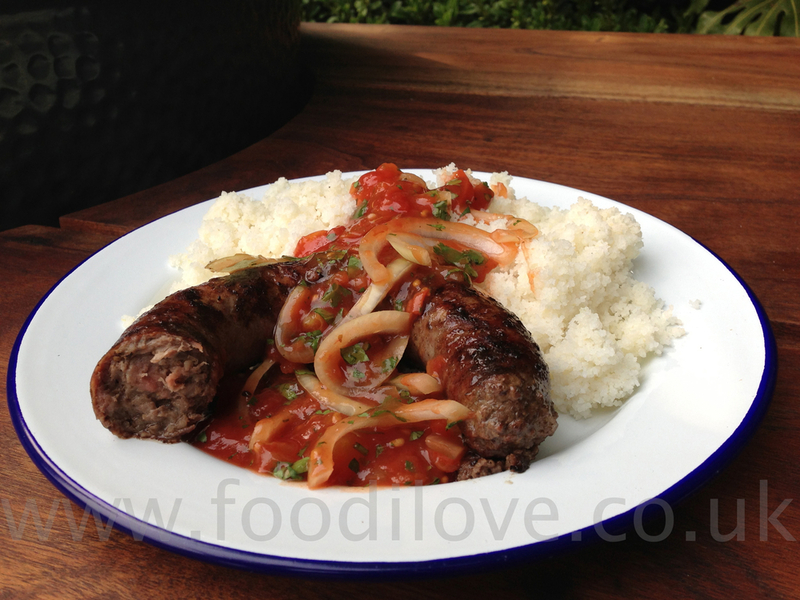 You can make the Boerewors and Sous(sauce) yourself from scratch. But why bother doing this when we sell what we think is some of the finest Boerewors in the country and a tin of All Gold Tomato & Onion which you can just add a few ingredients to, to lift the sous to something that you would be proud to make. 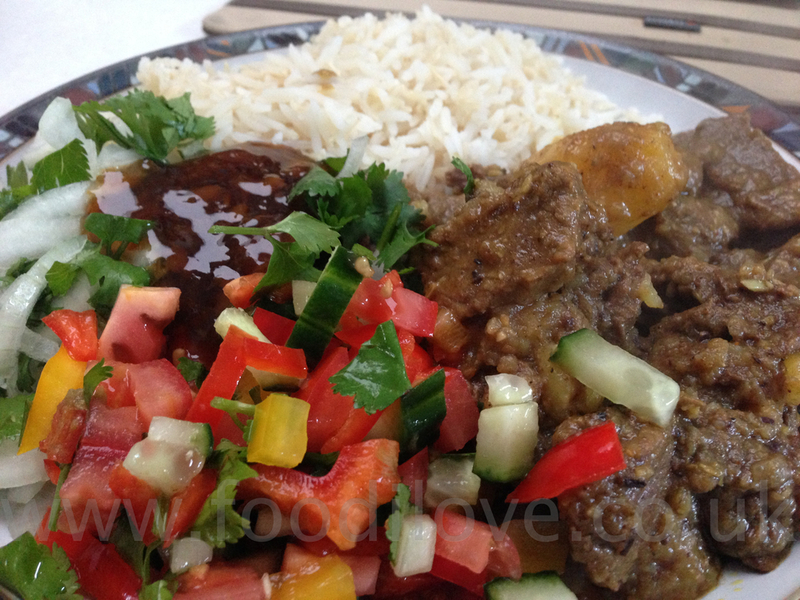 We are going to give away the main ingredients to make this meal to one lucky person this week, see details at the end. Preheat the Braai to 300°C (570°F). 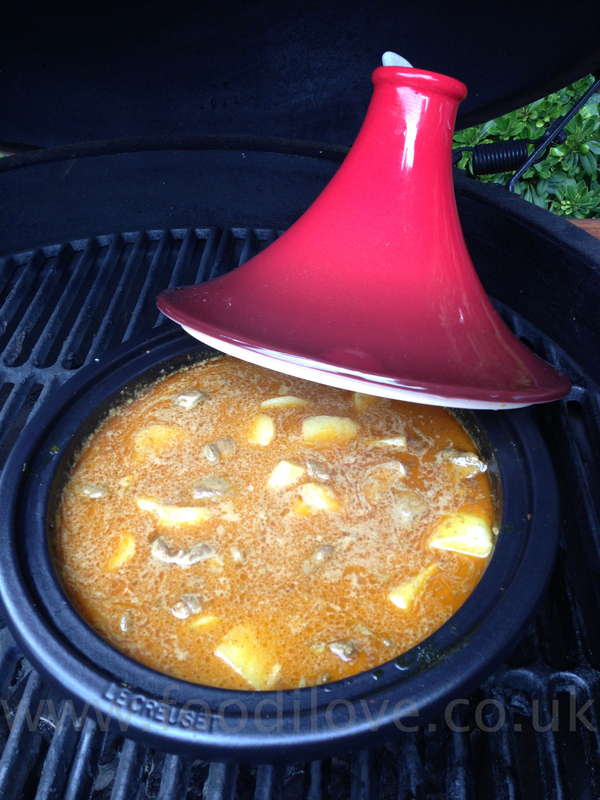 Bring the water to boiling point in a large, heavy-based saucepan or potjie pot. Then slowly add the maize meal and stir briefly. Turn the heat down or move off to the side whichever you can do on your braai. Using a large fork (such as a carving fork), stir it up until its crumbly and cover again with the lid. Simmer for a further 20 – 30 minute on a low heat until cooked. Set aside until you are ready to serve. 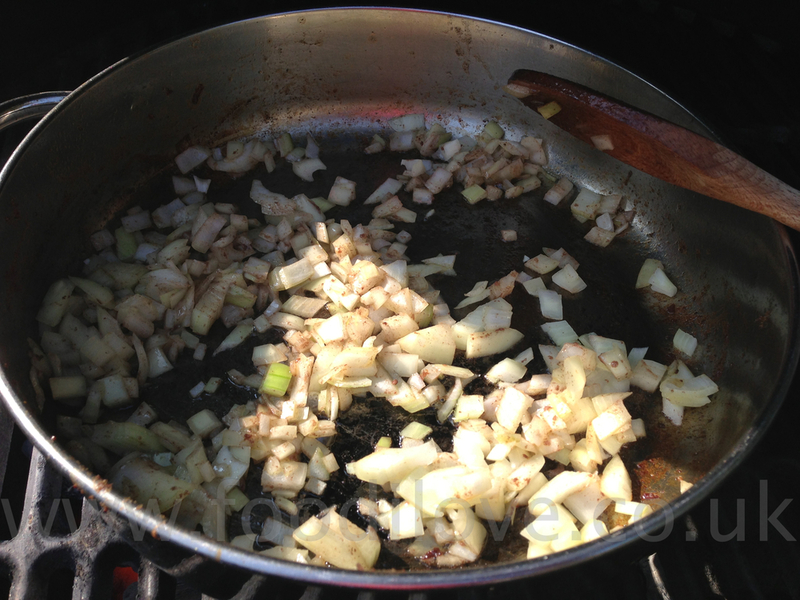 Place a knob of butter in a frying pan and sauté the onions for a few moments until soft. 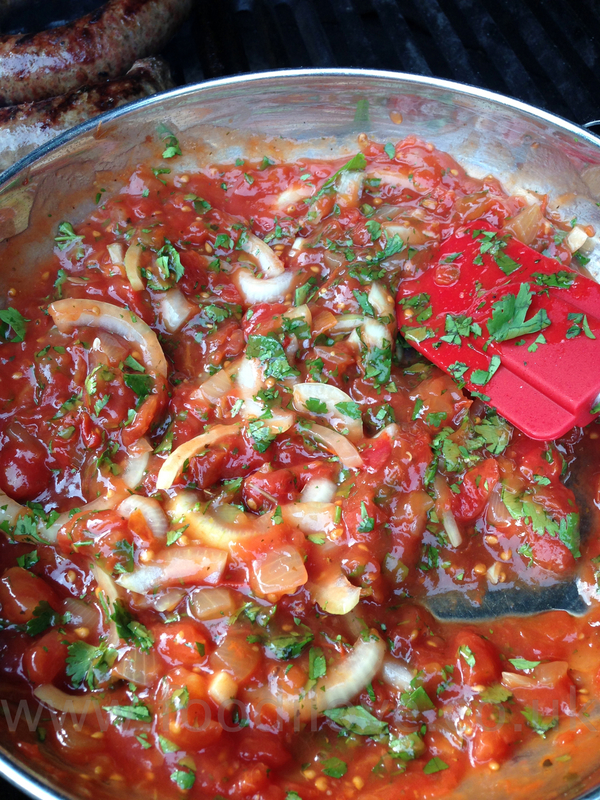 Empty the tin of Tomato & Onion sauce into the pan and stir. Bring to the boil and then simmer for 5mins. Remove from the heat until you’re ready to use, sprinkle the coriander into the sous just before serving. 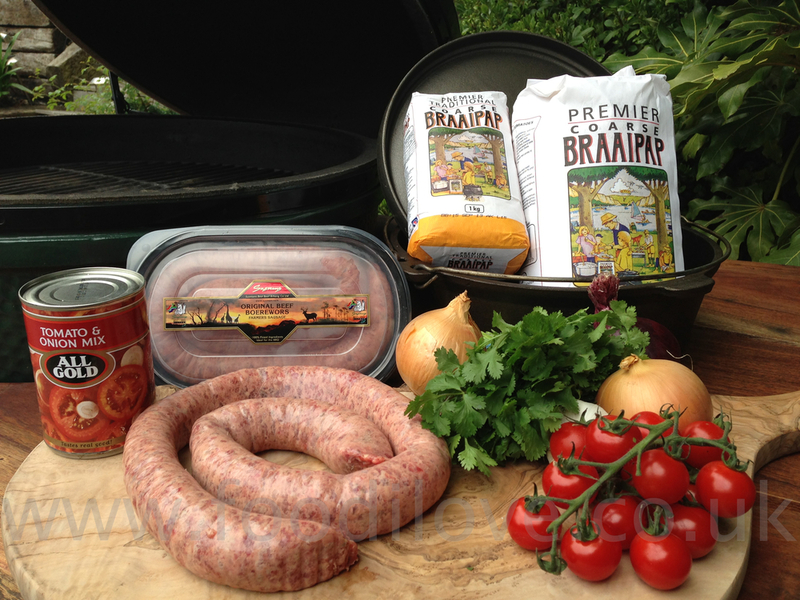 All that’s left to do is now braai your Boerewors which you have already brought from us, we hope! You will need roughly 250g per person or one pack per South African, heehee. Never prick the skins of the wors as this just allows all the juice to drain from the sausage and you will end up with dry, tasteless wors. 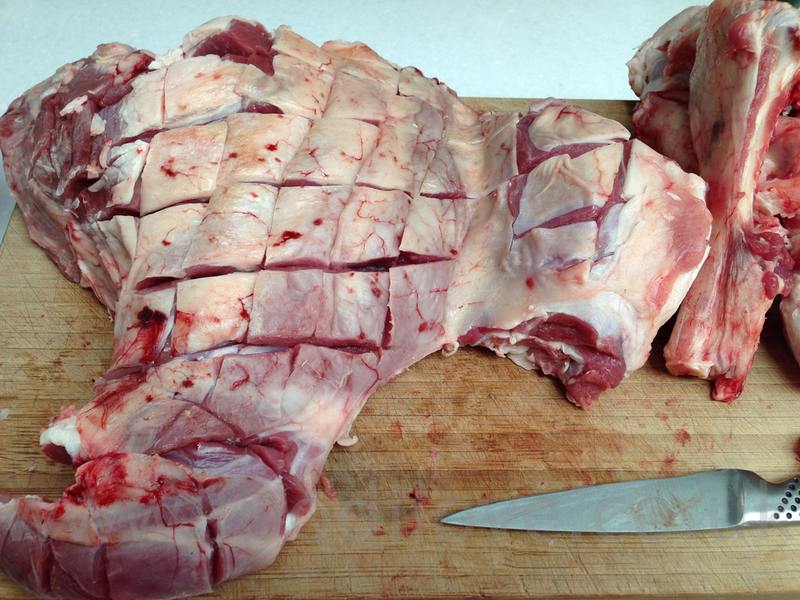 Always cook in a coil and cut after you have cooked it. Cook at a high temperature so that it crisps the skin and leaves the middle succulent. Cook on one side and then turn over and cook the other, hopefully you will not split the skins when turning as I did. If you do, blast it with some heat and eat before all that lekker juice spills out. 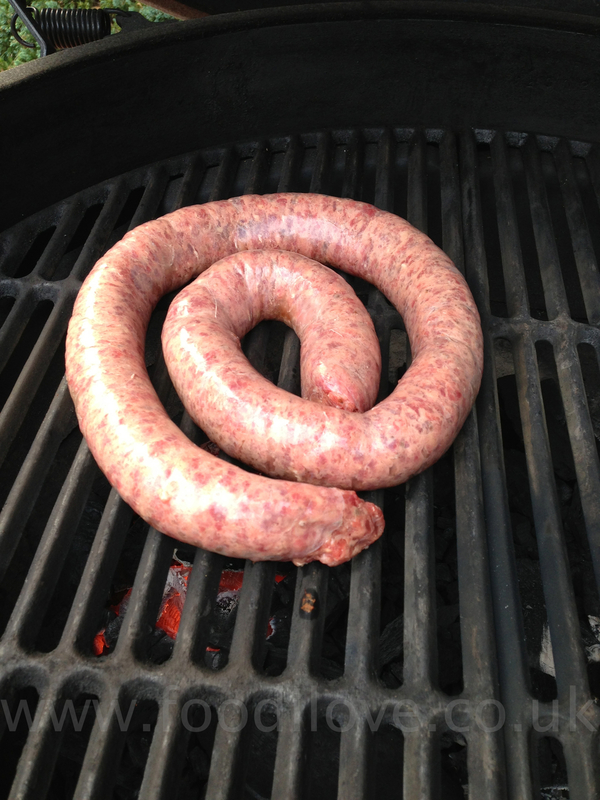 Don’t over cook as we only make our boerewors from whole muscle fresh meat with no other additives other than spices. So our wors will not shrink or swell and split the skins whilst cooking. 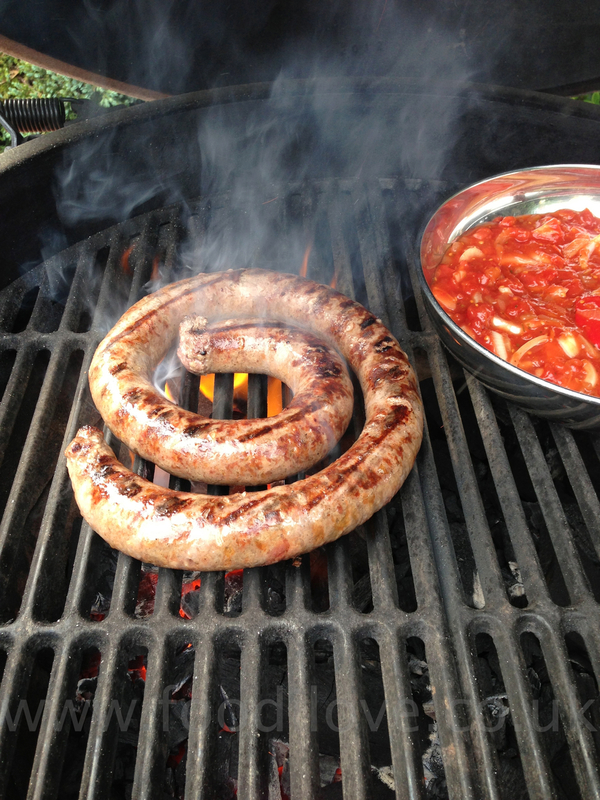 It’s best to eat your wors straight off the braai piping hot, absolutely lekker, even if I say so myself. That’s just like I remember it back home in the old days, when I would return from school and it would be sitting on the table waiting from me, Lekker! If you would like to try to cook this for yourselves then why not leave some feedback in the comments area below and one lucky reader will win 2 packs of Boerewors, pack of Braai Pap and a tin of All Gold tomato & Onion Sauce for themselves. Entries will close on the 12th July 2013, please check back to see if you were the lucky winner. Last week I cooked a rack of spring lamb and served it with this dish and so many of you have asked how to make this. Please forgive me, I should have given you the recipe last week but just took it for granted that the meat is what you were interested in. This was a mistake as there are many of you who are interested in everything that I’ve cooked. This is such a easy recipe and it takes sweet potatoes to a new level, so give it a try, you don’t even have to use the braai if you don’t want to. Also don’t forget that once again we will be giving away a great prize of a pack of smoking planks to one lucky reader which we used to cook this recipe, see the end of the blog for details. 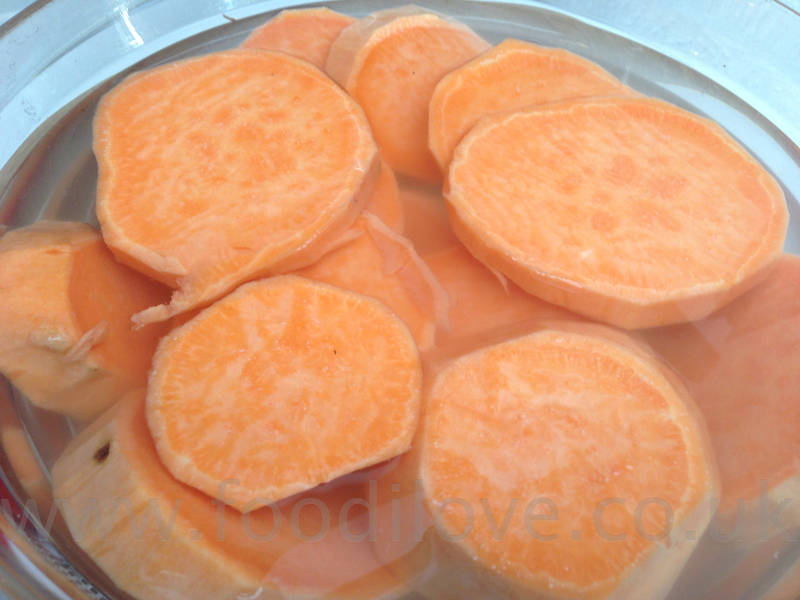 Cut the sweet potatoes in half and place in a oven proof dish. Slice the limes in half and place on top of sweet potatoes. 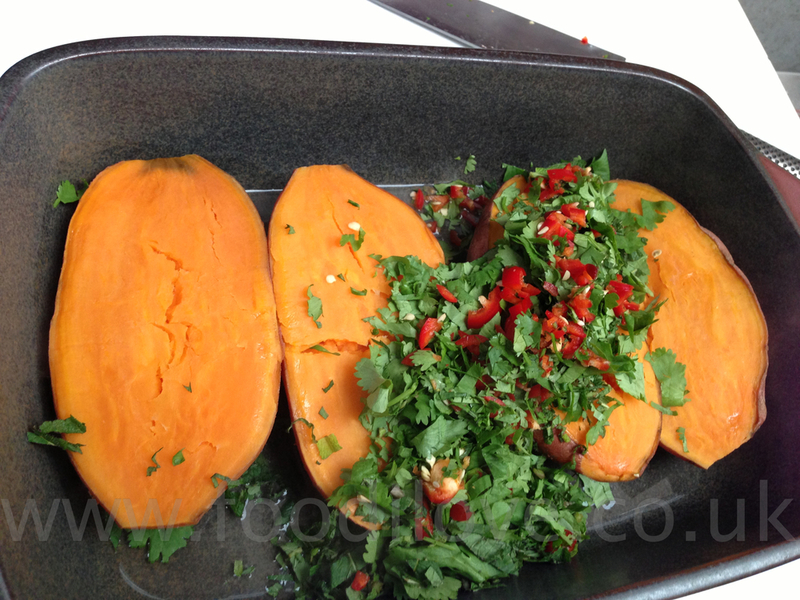 Finely chop the chilli, mint and coriander ready to add to the sweet potatoes once they are cooked. Cover the dish with cling film and baking foil if you are placing in the braai or just cling film if you are going to use a micro wave. Place the dish the braai for 20mins and close the lid. Or if you want, you can place the dish in a microwave for 15mins on high. Remove from the heat and uncover. 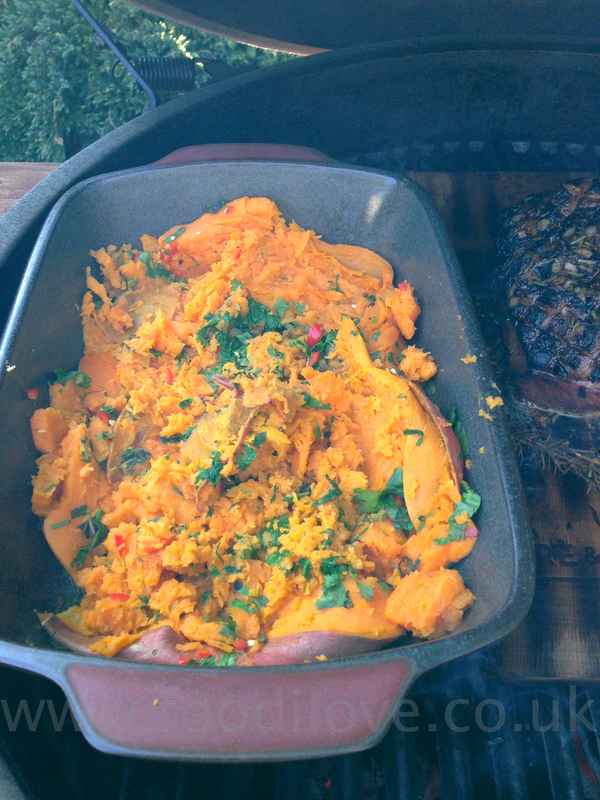 You will notice that the limes have kept the sweet potatoes moist. Add the chopped chilli, mint and coriander and using a potato masher lightly crush the potatoes and herbs together. 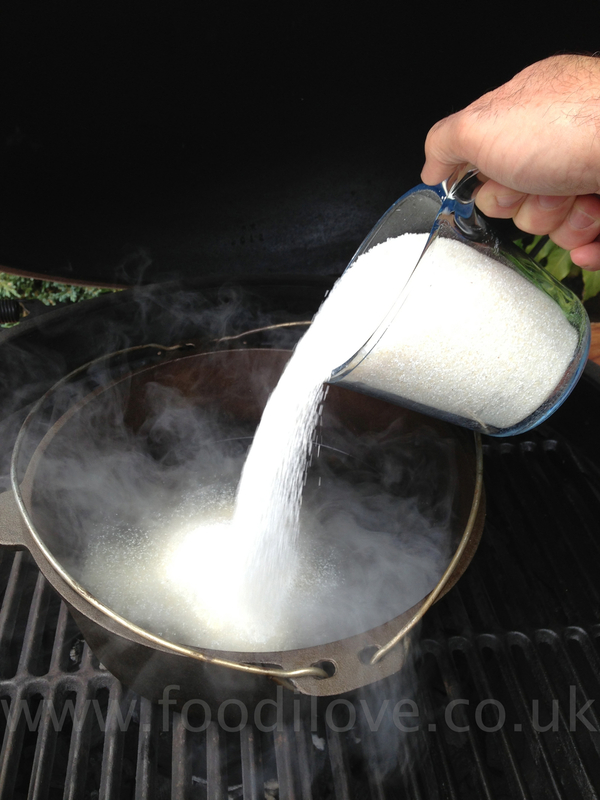 Place back in the braai for a further 5mins, if you used the microwave you can miss this step out. I cooked this dish when I made last week’s blog and the cedar planks just gave it a slight smoke flavour and they were divine. Don’t forget that if you would like to try to cook this for yourselves then why not leave some feedback in the comments area below and one lucky reader will win a pack of these smoking planks for themselves. Entries will close on the 22nd June 2013, please check back to see if you were the lucky winner. 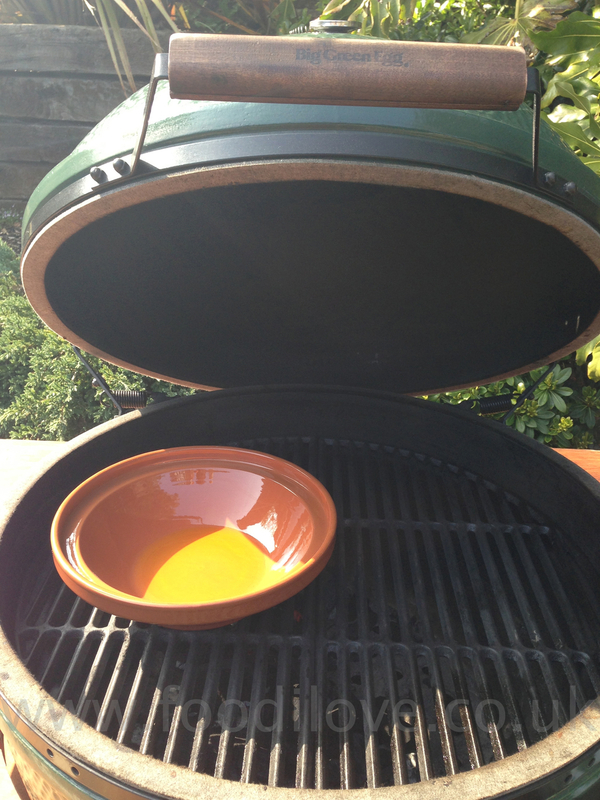 Somebody asked me the other day why I keep on promoting the BigGreenEgg, am I on their payroll? I wish! Well, just to confirm in case I haven’t mentioned it in the past, I'm not. I decided to do this blog after I saw this braai in action, MAN "I thought that this was just the best braai I had ever come across". 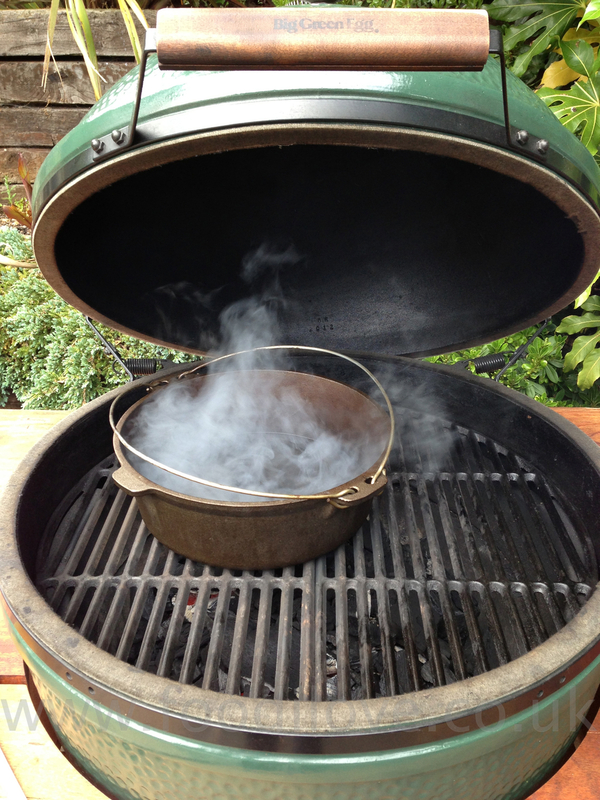 In fact, just for the record, I struggle to get the BigGreenEggUK or even the USA mother company to recognise this blog. Or in fact even get them to retweet or post this blog on their Facebook or Twitter!!! Not sure why? You guys can help me, please, by retweeting or blogging about this if you want? I think that I'm doing a great job promoting their products. However, even after my little rant, I must confess that we do sell these braai's and some of their product, just because I personally think that they are great and you can see what we sell by clicking here. I don't think that I'm swayed in anyway because we sell these products but if you think I'm blinkered, please feel free to let me know. Well, on with this weeks recipe, I knew it was too good to last and summer is over here in the UK, lasted a week this year LOL. Well lets hope not but you never know in this country, so I'm going back to cooking some warm winter dish this week, a tagine. 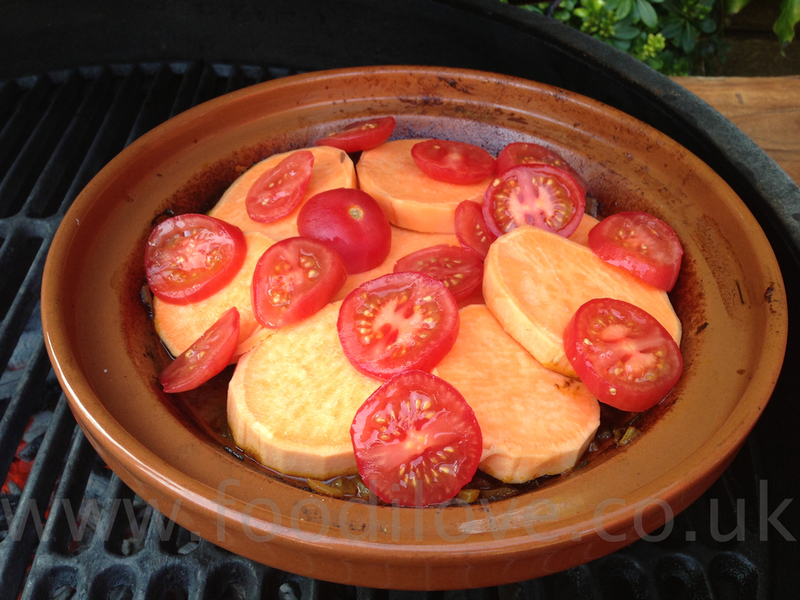 Don't worry if you haven’t got a tagine, you can do this in a potjie or just any heavy sauce pan if needs be. 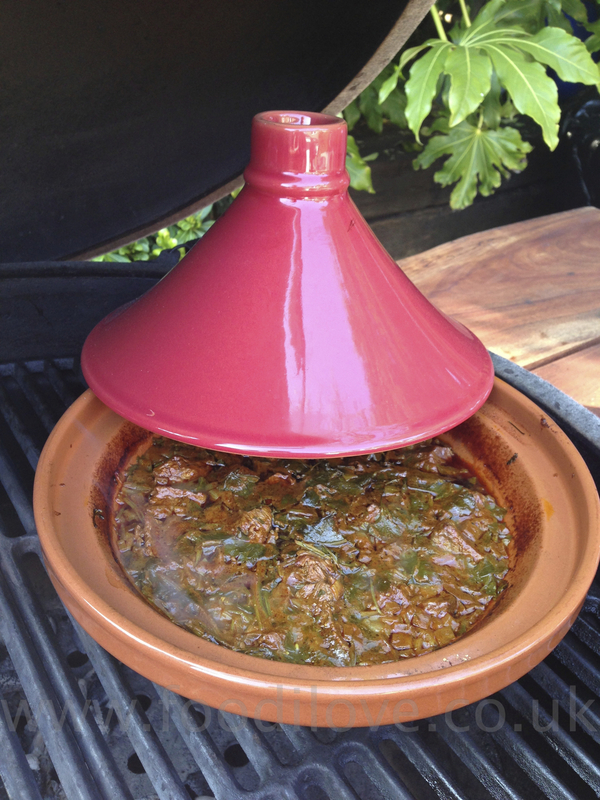 The traditional tagine pot is formed entirely of a heavy clay, a base that is flat and circular with low sides and a large cone or dome shaped lid that sits on the base during cooking. The lid is designed to help the return of all condensation back into the bottom stopping the dish from drying out and producing a fantastic gravy. With the lid removed the base can be taken to the table for serving. 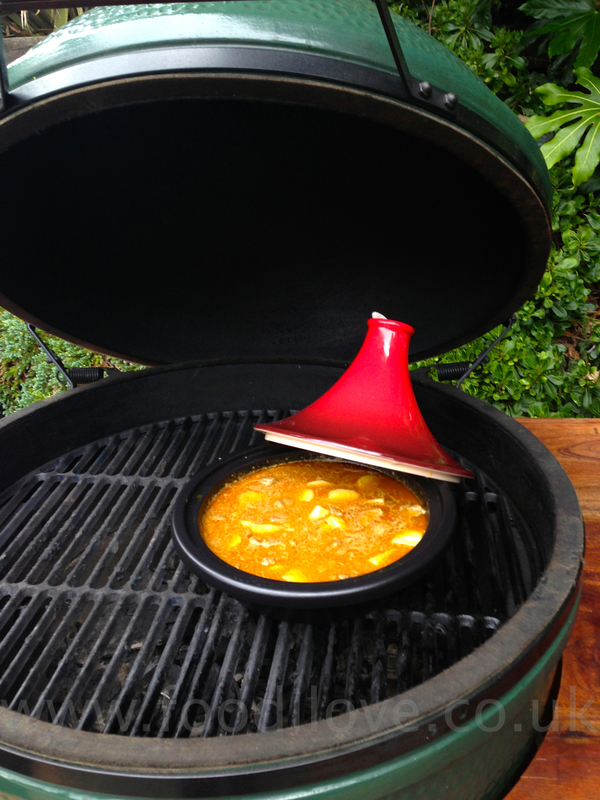 However recently manufacturers have made tagine's with heavy cast-iron bottoms that can be heated and cooked on a braai or stove to a high temperature. I wish I had bought one of these as the tagine I used has cracked. So if you haven't got one with a cast iron bottom brown your meat off in a frying pan. It wasn’t until I started to eat this meal that I realised that all a tagine is is basically a Northern African Potjie! In fact, this recipe is pretty much a curry for all intents and purposes, similar to the Durban Curry’s from home but with a slight twist, it's cooked in a tagine/potjie. 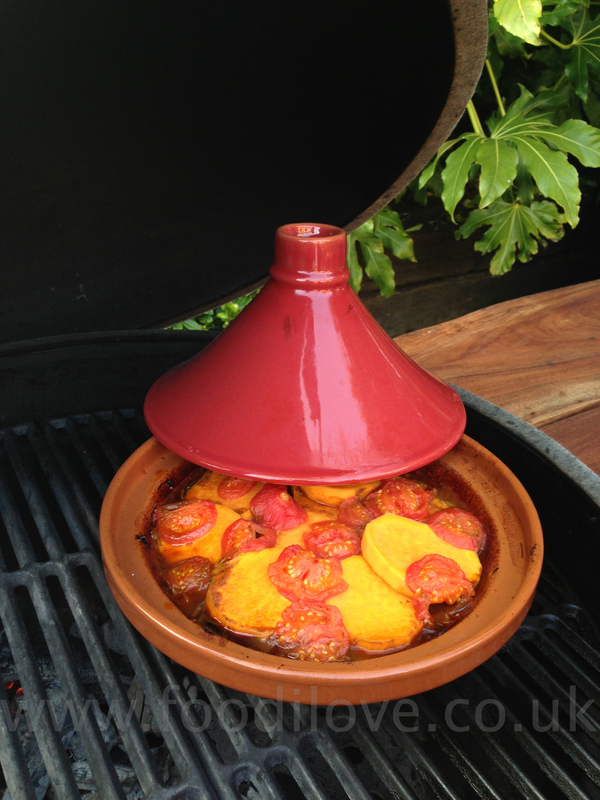 In fact, in traditional Moroccan cooking they would even place hot charcoals on the lid, just like we do with a potjie. Once again this week I will be giving away 2 bottles of Mrs Balls Peach Chutney just to help make you feel at home when you eat this. See the end of the blog for details, now on with the cooking. 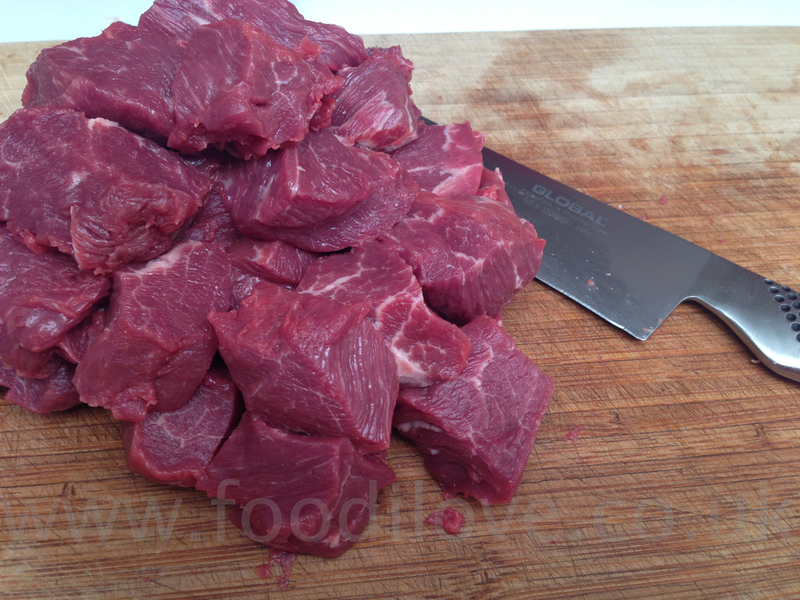 Trim the steak of any fat, sinew and cut into 2.5 cm pieces. 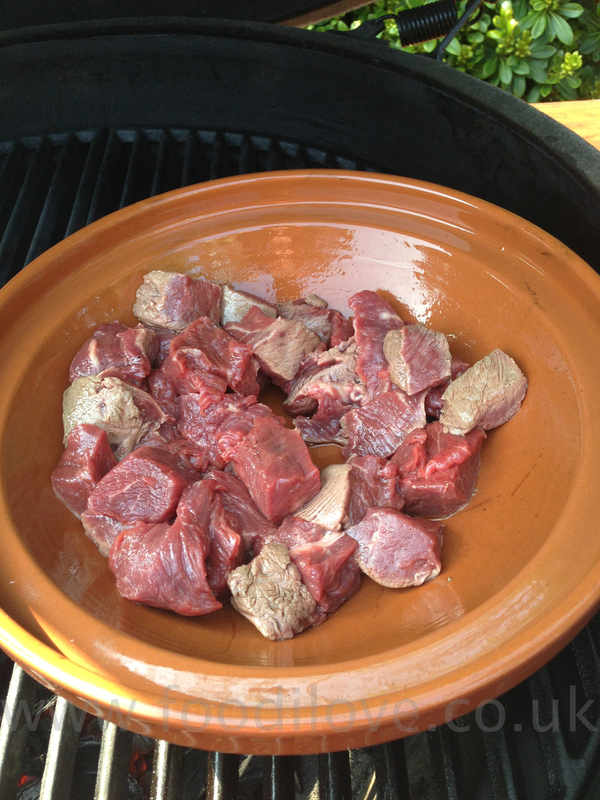 Heat haft the oil in a tagine or frying pan and brown the beef over high heat. Set aside in a dish to be returned to the onions in due course. Add the onion and the remaining oil to the pan and gently cook for 10 minutes, or until the onion have softened. Add the cayenne pepper, cumin, turmeric, ginger and paprika and cook for a few seconds, then add the salt and black pepper. 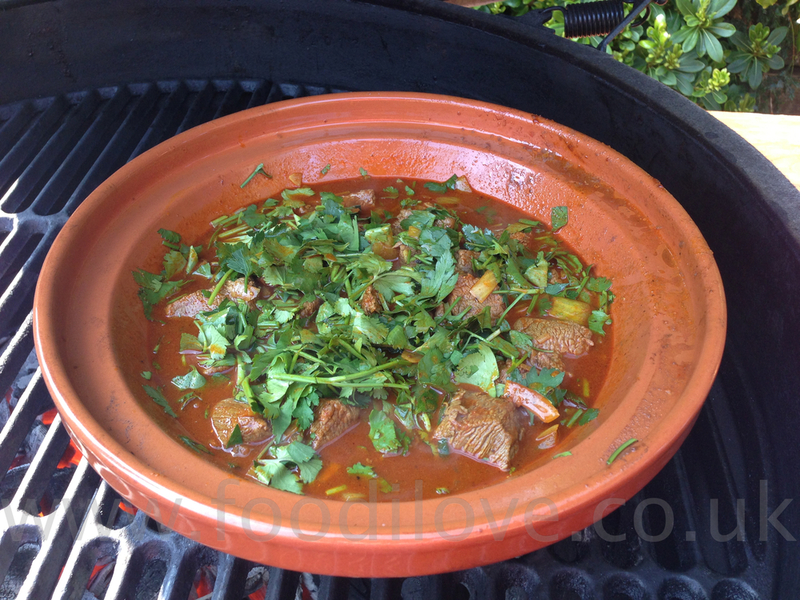 Return the beef to the tagine along with the parsley, coriander and 270ml water. Cover and simmer over low heat for 11/2hr or until the meat is almost tender. While this is cooking peel the tomatoes. To do this score a cross on each them using a knife. Plunge them into a bowl of boiling water for 20 seconds and then straight into a bowl of cold water to cool. Remove from the water and peel the skin away, this should just slip off easily, then slice. Peel the sweet potatoes, cut them into 2 cm slices and leave in cold water until required, this will prevent them discolouring. Next drain the sweet potatoes and layer them on top of the beef. Then place the sliced tomatoes on top. 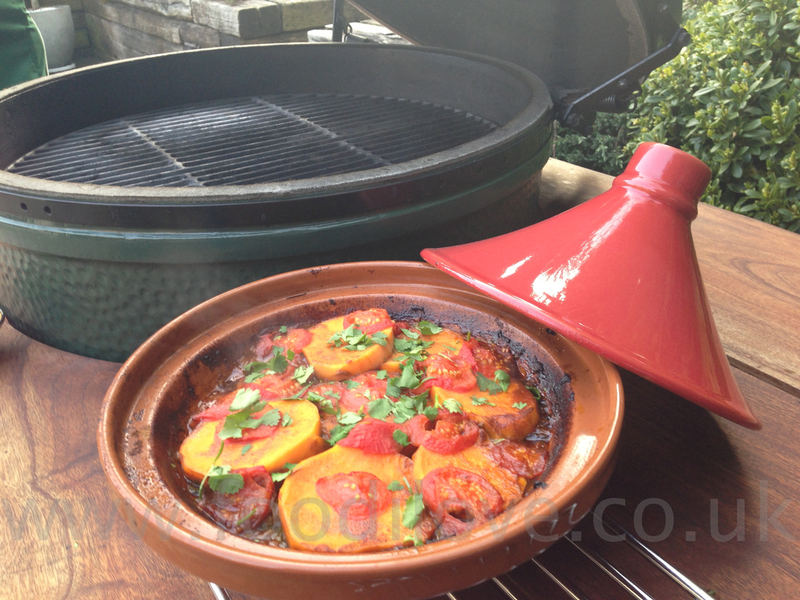 Cover with the lid of the tagine and cook for a further 30mins. Remove lid and let the braai get hotter up to 220°c 425°F, cook until the tomatoes and sweet potatoes have browned off a little. All that remains to do is serve with rice or some couscous a fresh salad and of course some Mrs Ball Chutney South Africans pretty mush eat everything with this LOL. This week we are giving away 2 bottles of Mrs Ball Peach Chutney so you can try this great recipe out. Once again all you have to do is please leave a comment and you could be 1 of 2 lucky people that get a chance to make this really great recipe. Entries will close on the 24th May 2013, give this a try it's worth the time, promise!